The broad and lasting skills that emerge when a student is at the center of the learning process is nothing short of incredible. 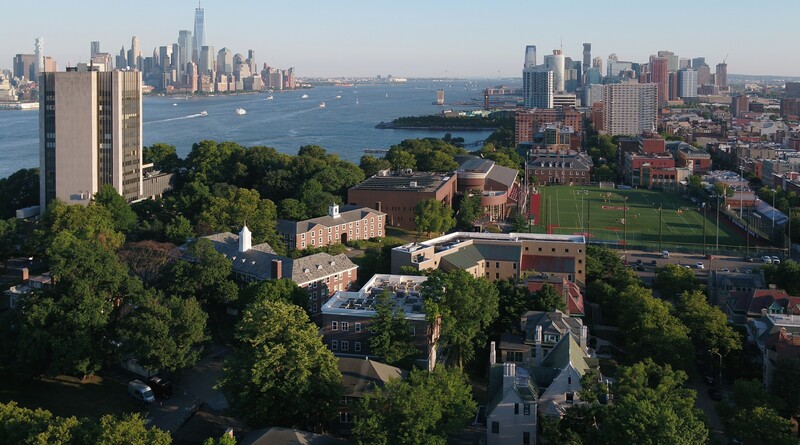 Whether working individually or teams, students in Stevens Institute of Technology’s Charles v. Schaefer, Jr. School of Engineering and Science progress through a sequence of interdisciplinary design courses. In those courses, students not only learn engineering principles and how to apply them; they also learn soft skills like creative thinking, problem solving, project management, communication and ethics that are increasingly important in the working world. It is this combination of applied experience and soft skill development that is the heart of the eight hands-on design courses known as the design spine. With one class each semester culminating in a two-semester senior capstone project, the design spine is the major vehicle for engineering students to develop competencies linked to courses in their chosen discipline. It also provides tangible context for the application of theories explored in the classroom. Undergraduate student working in the freshman design lab. The design spine, which has been part of the bachelor of engineering curriculum since the mid 1990s, is not just about building robots or remote-controlled cranes. It is project-based, active or self-learning, where students in their very first semester are constructing hands-on experiments and design projects. It’s philosophy is to embrace diversity within student groups. Design is an inherently interrogative process and it becomes important for students of different backgrounds and skillsets to be able to ask questions from their respective viewpoints. When dealing with a diverse freshman class of varied technical backgrounds, the challenge is properly integrating them to contribute equally. Some students may have won robotics competitions in high school while others may have never written code in their life. This year, Stevens has created new modules for the first four weeks of the course that are intended to quickly bring all the students to a more equal technical footing. The goal is to move students past "how to program a robot" and get them to "what do I want the robot to do?" Project built by a Stevens student in the design spine. Pochiraju said the design spine functions as a road map by which students find their way toward understanding integrated systems, or the process by which things work together. It is this comprehensive approach to engineering that provides career benefits for graduates because they have opportunities to think and innovate outside of the traditional course structures. "Our students are constructing solutions," Pochiraju added. "Design can be physical or digital, and we are using software tools that allow students to virtually design, analyze, evaluate and obtain data. And while students become proficient at using these tools, an important part of the experience is the fact that they are learning there is no one solution [to a problem]. It becomes about choosing one of potentially many solutions that best solves a problem at a particular time." Students working on design spine projects in the freshman design lab. Miklos Nyary, who is a graduate student and lab assistant for the design spine, said he loves hearing feedback from current students that the design spine is "the coolest program." Nyary who has his bachelor’s in mechanical engineering and is now a graduate student in the mechanical engineering program said: "The design spine is really what drew me to Stevens for my undergraduate studies. Design is all about divergent thinking. While there may be multiple ways to solve a math problem, there's ultimately one correct answer. Most engineering courses have this convergent thinking, but design offers nearly infinite possible answers of varying correctness." Nathalie Tran, graduate student and lab assistant for the design spine, said she believes the design spine program is innovative. "The current design spine structure is a more independent set of courses that allows students to explore new subjects they haven’t approached before like problem solving, machining, designing, coding, project management and public speaking," she said. "Currently in Design 1, there are many students who want to use ultrasonic sensors rather than standard sensors, which is a great hands-on opportunity for exploring and not being bound to traditional answers. While there is an ‘easy’ way to solve many of the open-ended problems we assign, this class gives students opportunities to innovate and compare new designs, and to try new ideas, to see what works, or not." Undergraduate student and lab assistant Max Panoff said recent updates to the design spine are helping "refocus the course on student independence and familiarity with the importance of project management, skills essential to any engineer." Students working in the machine shop on a design spine project in the freshman design lab. It is that focus on interdependence and acquiring soft skills that is becoming the hallmark of today’s design spine. "What we are developing in students is the ability to be comfortable in the workplace," Pochiraju said. "Students are evaluating each other on their conclusions, they are challenging each other to grow, and that is the fundamental objective for the design spine." He concludes that it is this focus on learning by experience that will benefit students as they move forward with internships, co-op placements, and, ultimately, when they join the workplace as employees. "Team dynamics is a part of the design spine experience where they are applying newly acquired skills,” Pochiraju said. "This is where students become motivated to step up." Undergraduate woman student building a design spine project in the freshman design lab.